Nike Off-White x Nike Zoom Fly Mercurial Flyknit "Football, Mon Amour"
Off-White x Nike Zoom Fly Mercurial Flyknit "Football, Mon Amour"
A collaboration with Virgil Abloh and Off-White, the Nike Zoom Fly Mercurial Flyknit is styled in orange and features polka dot detailing, multicolor trim and Off-White-style "FOAM" lettering. Release date is June 14, 2018 at a retail price of $200. 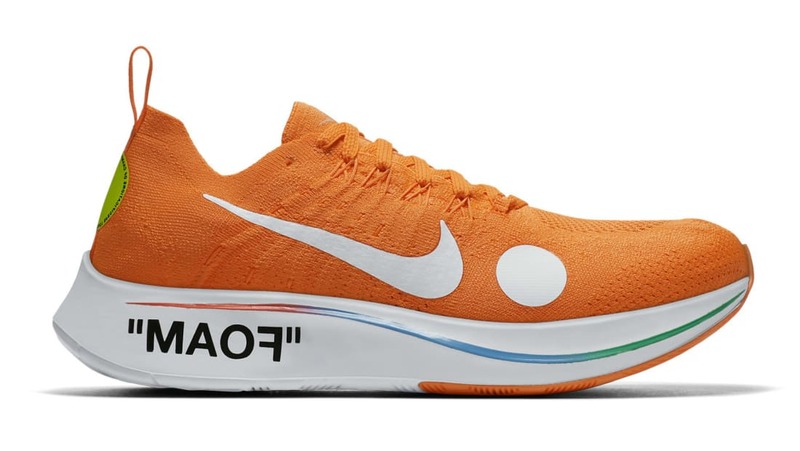 News Off-White x Nike Zoom Fly Mercurial Flyknit "Football, Mon Amour"